Based on the decision of the EHF Executive Committee in January 2018, which reserves the EHF the right to intervene in a draw to avoid encounters between teams where geo-political situations may cause difficulties for the scheduling and carrying out of matches, it will be ensured that Kosovo and Serbia play in different groups at the Men’s EHF EURO 2020 Qualification. 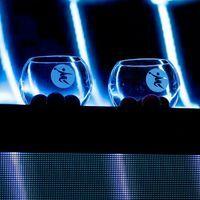 The European Handball Federation has therefore updated the initial procedure for the Men’s EHF EURO 2020 Qualification Draw which will take place on 12 April in Trondheim. Serbia are placed in pot 2, while Kosovo are in pot 4. At the draw, the teams of pots 3, 2 and 1 are first drawn to their respective groups. In a next step, the team of Kosovo is drawn to row 4 while excluding the group that Serbia have been drawn to. The remaining teams of pot 4 are then drawn to row 4 and into the remaining groups. The draw will be streamed live on the EHF EURO Youtube Channel and the EHF EURO Facebook page. The Men’s EHF EURO 2020 will be played from 10 to 26 January 2020. It is the first to be played with 24 teams and the first to be hosted by three nations. Sweden will organise two preliminary and one main round group plus the final weekend at the EHF EURO 2020. Venues chosen are Gothenburg’s Scandinavium, the Malmö Arena and the Tele 2 Arena in Stockholm (final weekend only), a 20,000+ capacity stadium. Austria will host two preliminary round groups and one main round group in the Vienna Stadthalle and the Graz Messe Arena. The new Trondheim Arena, which is currently under construction and will seat 8,000 people, is the venue for the two preliminary round groups played in Norway.